The reciprocal force of the love of an owner for his pet, and the utter devotion of the pet towards his owner, can be one of the most profound powers in the known world. Only a very small group of people couldn’t possibly be overwhelmed by some emotion or other at the sight of some owner-pet displays of affection. What follows is a ridiculously touching story of such a bond between man and animal, taken from ABC News affiliate WTVM, and I can probably guarantee you’ll want tissues afterwards. A recent wedding in Colorado between two veterinarians was equal parts heartwarming and bittersweet when taking into account the ceremony’s guest of honor. 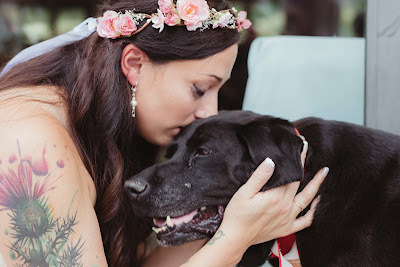 His name was Charlie Bear, a black-haired Labrador mix with soulful eyes who has been a pet of the bride, Kelly O’Connell since she was 19 years old. That was 15 years ago, and at the time of the wedding old Charlie was living on borrowed time, dying from a brain tumor. And so, after a whole week of waiting without any sudden drop in his terminal condition, Charlie Bear was able to be there for his person’s wedding. He was even able to walk with O’Connell up the aisle, but as apparently he had been hanging out with one of the child guests before the march of the wedding procession, Charlie was all tuckered out at the altar, too exhausted to follow his person and her new husband away. Thankfully O’Connell’s sister and maid of honor went to pick up Charlie and carry him over to the bride and groom for the photo ops. Within 12 hours of the September 17-18 weekend, the United States East Coast was rocked by a series of seemingly unconnected attacks: two explosions – one in New York and another in New Jersey – and a stabbing assault in a Minnesota mall. None of these incidents at first glance seem to have any links, but all have revealed elements to investigators of being planned as terror attacks. 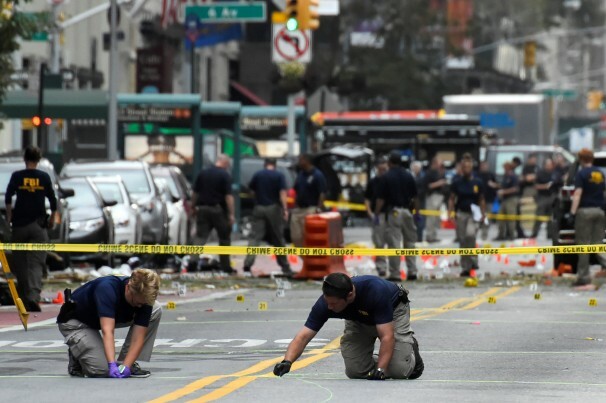 The Washington Post reports that both federal and local law agencies have raised the possibility of terrorist connections in the two bombings and the stabbing, and are now focused on finding out how the attacks were carried out and the motives behind them. The first attack was at the Chelsea neighborhood of Manhattan in New York City. With its concentration of subway stations, eating places, shops and art galleries, the explosive device – hidden in a dumpster when triggered – was guaranteed to hit a lot of people, 29 being wounded at the moment of detonation. Security camera footage on the scene managed to catch the image of a suspicious individual at the scene before the explosion, located a few blocks away moments later where an equally suspect package was later found: a pressure cooker with wires connected by duct tape to a cellular phone. It should be noted that the bombs used on the 2013 Boston Marathon bombing, resulting in three fatalities and 260 injuries, was made out of a repurposed pressure cooker too. The discovered possible second bomb has since been removed for investigation. The second attack was prepared at was to be the route of the US Marine Corps Seaside Semper Five charity run in New Jersey. Investigators located the device, hidden in a garbage can on the roadside, described as three individual homemade “pipe bombs” strung together with wires to a cellphone detonator. Bomb experts noted that the device was crudely assembled; only one bomb exploded while the other two didn’t. Furthermore, the Semper Five Run was significantly delayed due to problems at the pre-race registration, meaning there were no people yet on the path and around the area when the device exploded. Nevertheless the charity event was cancelled as investigators and search dogs combed the area for any other surprises. Finally, a lone man of reported Somali descent went into a rampage inside the Crossroads Center Mall in St. Cloud, Minnesota, not long after the previous two incidents. Dressed as a private security guard, the suspect went on to stab eight people, wounding them. Witnesses reported the man muttering Arabic and even asking one of his victims if he was a Muslim before attacking. An off-duty police officer repeatedly shot the man until dead, when he continued trying to attack even after being wounded by the gunfire. Later, terror group ISIS identified the perpetrator as one of their “soldiers” on its Amaq news website. The three attacks have put the nation on high alert even as authorities try to get to the bottom of all these. Meanwhile, the Muslim Community of St. Cloud, one of Minnesota’s largest, has expressed grief for the incidents and concern for possible backlash actions against them. The South China Sea has been an extremely hot, though fortunately not hostile, zone of contention between China, its neighbors and the United States for several years on now. A majority of nations have long cried foul over the People’s Republic and its extensive “nine-dash line” claim of an exclusive economic zone, further ramping up tensions by building military bases on reef islands in the area, not at all deterred by a recent International Court ruling debunking that same claim. 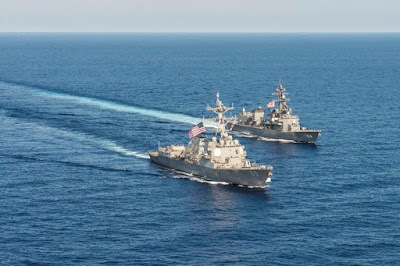 The US has tried shows of force by having its naval vessels patrol the SCS in the interest of protecting freedom of navigation against a zealous Chinese Coast Guard. Now as CNN reports, Japan is throwing its own hat into the ring by having its Maritime Defense Force undertake joint training patrols alongside the US fleet as well as engaging in naval exercise with the navies of Southeast Asian nations, according to Japanese Defense Minister Tomomi Inada. That’s not all. They also plan on providing military assistance to the parties opposing China in the South China Sea argument, in particular Vietnam and the Philippines. In addition, Minister Inada has expressed approval for the US plan of deploying up to 60% of its Air Force and Navy throughout the Asia-Pacific region by the year 2020. Ongoing disputes between the SEA nations and China have been teetering on the edge with increasing military defense buildup. The Philippines has a bone to pick with China’s maritime territorial claim which comes close to reaching the shores of its westernmost province of Palawan island. Inada has stated that Chinese activities in the SCS and also the East China Sea, close to Japan, was a matter of grave international concern, and calls attention to his government’s resolve to protect Japan’s territorial integrity and sovereignty. "To this end,” he added, “we will continue our own defense efforts and also maintain and enhance the Japan-U.S. alliance." Japan’s actions have been typical of the new mindset espoused by Japanese Prime Minister Shinzo Abe for the country’s Self-Defense Forces to take a more active role outside its territory, in a more “interventionist” doctrine that is closely linked with the policies of the US, its staunch ally ever since the end of World War II when both countries had been fighting each other. Kyoto University professor Nancy Snow opines that Japan’s South China Sea patrols amounts to “Japan flexing its muscles and being under the thumb of the US military, which can't operate on its own in the South China Sea. "She warns that Japan could stand to lose much from its proactive stance for the JSDF, which isn’t a military force in the letter of the Japanese post-war Constitution. Some quarters however understand Japan’s decision, especially in light of North Korea’s new belligerence and new of China conducting joint drills with Russia. If you’ve ever tried using Google Street View, you’d know about the service’s privacy security feature. Whenever a person or a vehicle’s license plate number gets caught in the Street View footage, it gets blurred out as a matter of course. That has been the way things are run in Google Street View since 2008, only a year after the official launch, and the software that automatically blurs any image of a human face or license plate is quite efficient at what it does. A recent article of The Guardian shows just how “overzealous” the blurring software can be. 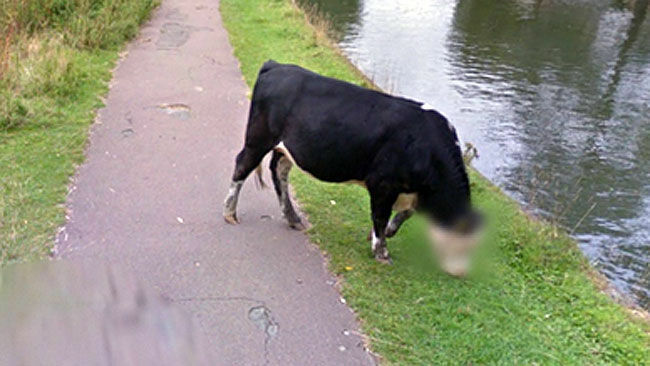 The news agency’s US opinion editor, David Shariatmadari, caught a glimpse of such extreme censoring when he came upon a Street View taken back in the summer 2015, of Coe Fen in Cambridge, England. It showed the Cam River and a paved path running side by side into the distance, with buildings, trees and people in the background too indistinct to make out, some tall grass to one side…and a cow in the foreground, just grazing on the shorter grass next to the Cam. The cow’s face had been blurred in the Street View. Deciding the Google software snafu was just too darn funny to keep to oneself, Shariatmadari Tweeted a screenshot of the “anonymous” cow Tuesday September 13, with the snarky caption: “Great to see Google takes cow privacy seriously.” As is the thing about the randomness of viral hits, the blurred cow photo quickly amassed 13,000 likes and re-Tweeted nearly 10,000 times. “Some people think one cow looks much like any udder. Not so!” says one. “Cows should dress more modestly so they don't have to have their faces blurred in shame,” adds a comic reverend. "Udderly ridiculous"and "Google teat view"were just the beginning of the fun. “I got a beef with that!” went a little below the belt. But one commenter topped all the nonsense by asking if Google can filter such lame attempts at humor too. Smart subscribers are in for a whole lot of treats this holiday season with exclusive prepaid load and online shopping discounts through PayMaya, the country's leading digital payments mobile app that allows users to get an instant virtual prepaid Smart MasterCard that they can use for digital purchases. 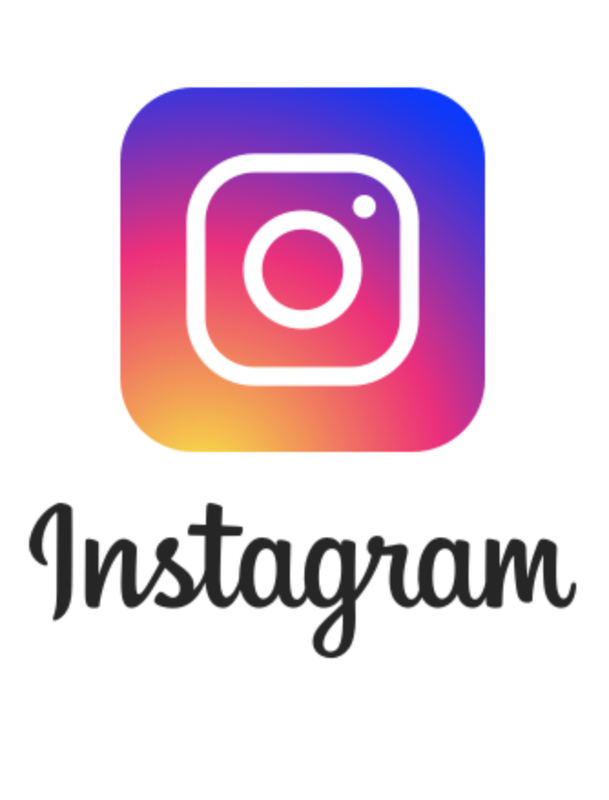 By downloading the PayMaya app on their Android or iOS phones and registering with their Smart, TNT, or Sun mobile number, subscribers will be able to instantly get a virtual prepaid Smart MasterCard which they can load up at PayMaya load-up centers and use in more than 36 million merchants worldwide that accept MasterCard. 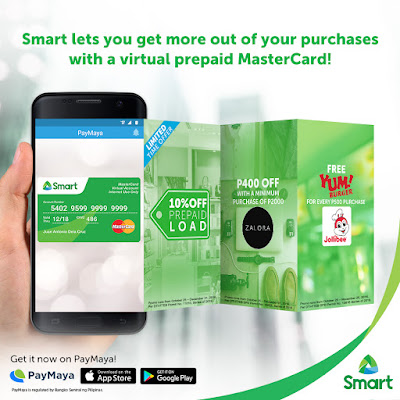 Smart subscribers who download the PayMaya app and use their virtual prepaid Smart MasterCard can also get as much as 10% discount on Smart prepaid load when they buy in-app, as well as enjoy exciting perks and discounts from Zalora, Jollibee, and many other big brands that will be announced in the coming weeks. 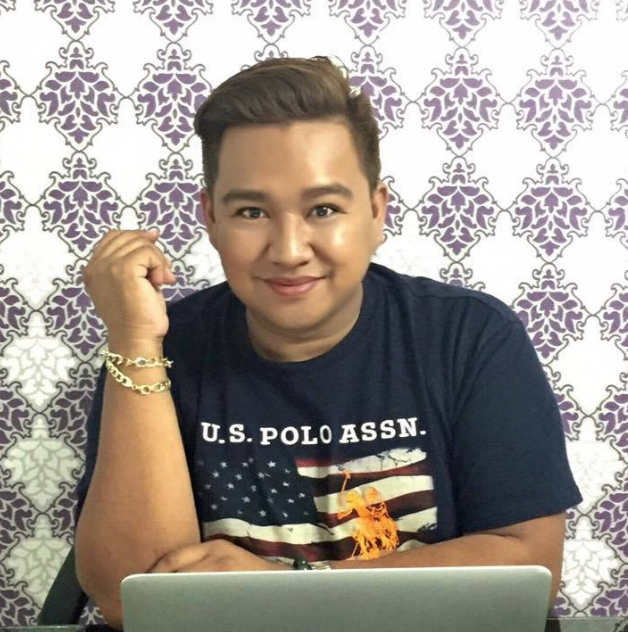 “With a vast majority of ‘uncarded’ Filipinos, many are still unable to experience the life-changing benefits that digital services offer today. With the Smart & PayMaya partnership, we aim to once again help our customers break barriers and experience new ways of transacting and engaging"; said Katrina Luna Abelarde, Wireless Consumer Operations Head at Smart. Director and Vice President for International Platforms at PayMaya Philippines. PayMaya is the globally recognized digital payments app from PayMaya Philippines, the digital financial services arm of PLDT and Smart. Launched in September last year, the app has been the consistent #1 in the Google Play Philippines charts under the finance app category. The PayMaya mobile app serves as a digital prepaid wallet where users can link virtual and physical prepaid cards, among them, the Smart MasterCard. PayMaya Philippines is regulated by the Bangko Sentral ng Pilipinas to ensure all user transactions are secure. - Transact online and use digital services. With the instantly-generated 16-digit card number in their virtual MasterCard, users will be able to do online shopping and subscribe to their favorite digital services that require a credit, debit, or prepaid card as a payment option. 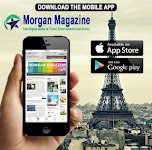 - Get discounts on prepaid load packages. Users will be able to purchase prepaid credits and enjoy up to 10% discounts to load their own Smart prepaid numbers or send as gifts to family and friends. - Pay bills. Through the app, users will be able to pay their Smart, Sun, PLDT, Maynilad, Cignal, Meralco, and a host of other bills using credits they have loaded to their PayMaya account. Users can load up their PayMaya accounts in any of the over 15,000 touchpoints nationwide, which include Smart Stores, SM Malls Business Centers, Robinson's Department Stores, UnionBank ATMs, 7-Eleven stores with Cliqq Kiosks, TouchPay Kiosks, and Smart Padala Centers, on top of online banking via BDO and UnionBank. Soon, Smart and PayMaya will also introduce a physical Smart MasterCard payment card and an NFC-enabled Smart MasterCard payment sticker, which users can link to the PayMaya app and use in millions of brick-and-mortar merchants that accept MasterCard here and abroad. Recently awarded as the world's best online payments solution at the Emerging Payments Awards in London, PayMaya has been leading the charge in enabling instant access to the digital economy through its game-changing payments service. 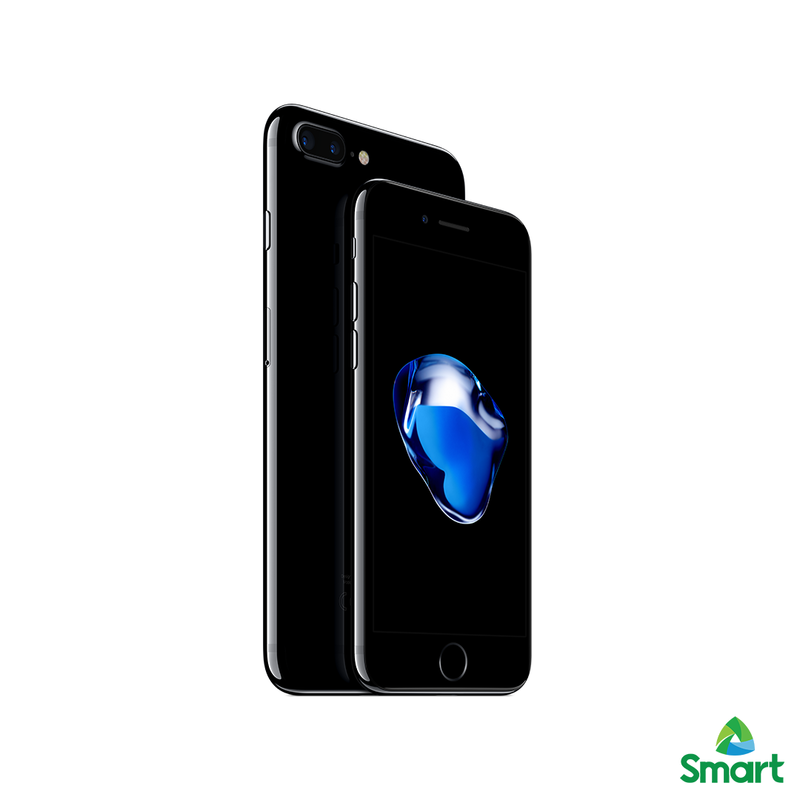 Empowering Filipinos everywhere with customer-focused digital innovations, Smart has pioneered payment solutions through the years that allow subscribers to break barriers digitally. The leading wireless service provider with around 70 million cellular and broadband subscribers has built a reputation for innovation, having introduced world-first wireless offerings like Smart Money, Smart Load, Smart Padala and Smart Pay With Mobile when it comes to mobile transactions. Where is the one place in the United States that was once a distinct royal kingdom? The answer would be state of Hawaii, which in the 18-19 th centuries was a unified kingdom-state recognized by some of the major nation-states of the world. 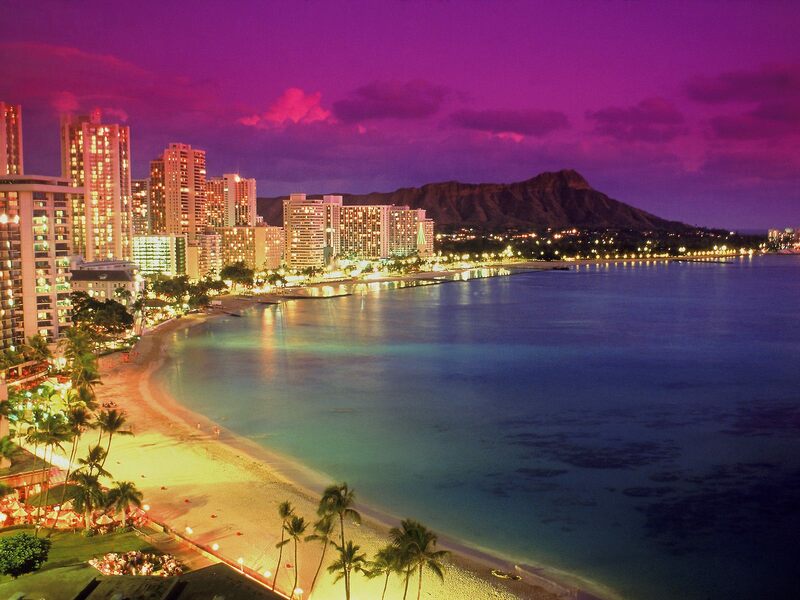 And the royal capital of the Kingdom of Hawaii for a significant part of its history was Honolulu, on Oahu Island. With a name that can mean either “calm port” or “sheltered harbor”, it stands to reason that the location would be nice and scenic. And honestly, those descriptors are grossly inept. Honolulu is a Pacific island city with all the comfort of the modern age and an eclectic mix of people from all over. 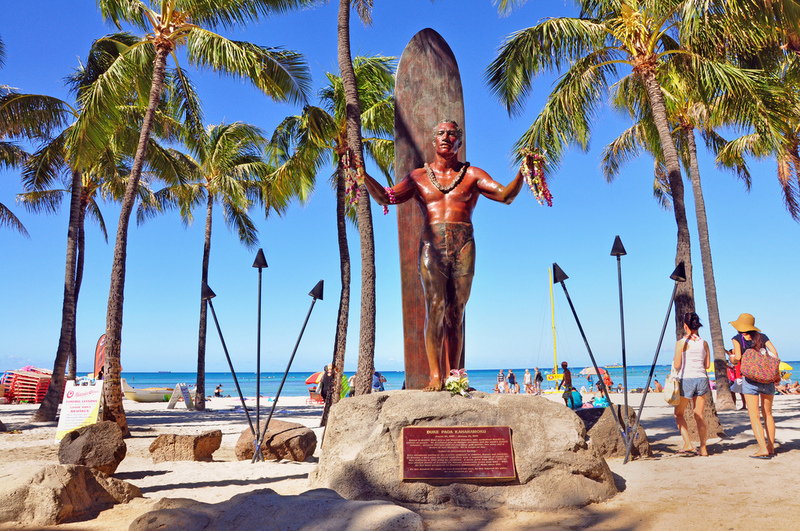 At once native, European, and American at the same time, Honolulu offers you a wide variety of experiences that goes beyond what you usually think of in Hawaii. 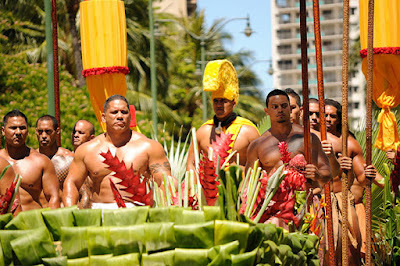 When Kamehameha I united the Hawaiian Islands and became the first king of the Kingdom of Hawaii, he moved his chieftain capital from the Big Island of Hawaii to Oahu, specifically the beach area of Waikiki (“sprouting fresh water”, after the springs and wetlands that once divided the area from inland). 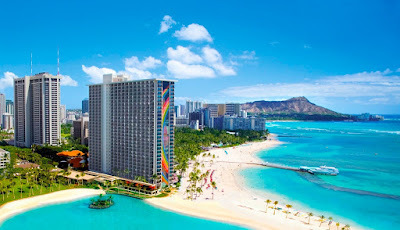 Since then the Waikiki neighborhood of Honolulu has become an iconic image of Hawaii as a whole, with its high-end hotels, branded stores and clothes shops, dining establishments and of course its beautiful stretch of beach with the quaint view of the Diamond Head volcanic cone not so far away. Waikiki is also surfing paradise, as symbolized by the nearby statue of Hawaiian Olympian and surf master Duke Kahanamoku. If you’re lucky you can catch a luau, even if commercial in nature, with Hawaiian music on ukuleles and of course, the hula. Having the distinction of being the only former royal residence in the United States is rather unique. 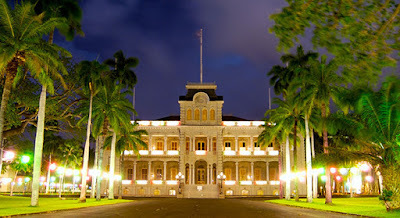 While a palace for the Hawaiian monarchy has stood there since Kamehameha III, the current structure was erected by order of King Kalakua, patterned after the Victorian style that he sought to emulate. 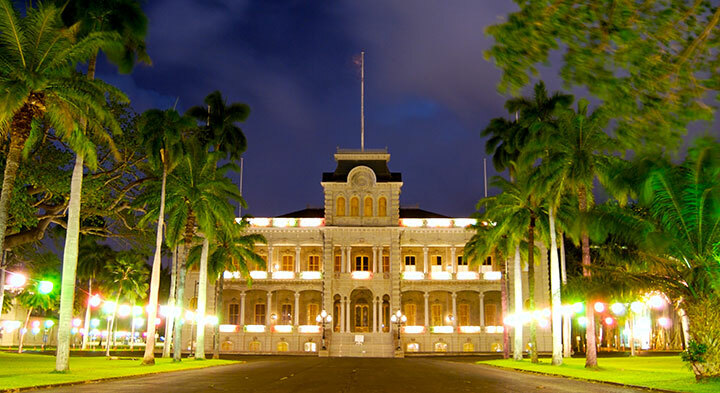 Upon the overthrow of the Kingdom in the reign of Kalakua’s sister Liliuokalani, it was converted into the last Queen’s gilded prison, then the capitol of the brief republic, then territory, and state of Hawaii. Now a museum, it offers visitors a glimpse of the glories of Hawaii’s royal past, and the technological advances the palace had long before even the White House. Statues of Kamehameha I and Liliuokalani are close by. 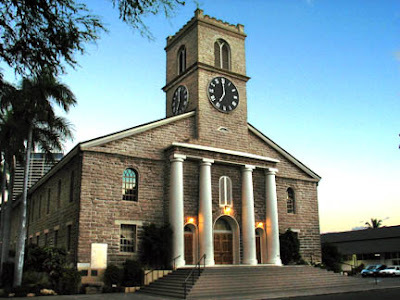 This early 19 th century neoclassical church got its name from being supposedly built on a spring- fed pool looked after by a native Hawaiian high priestess named Hao. Now one of the oldest permanent Christian places of worship in Hawaii, it was once the chapel of the royal family. Because kings have been crowned and royals baptized and given funeral rites here, it was nicknamed the Hawaiian Westminster Abbey. Its primary building material was coral from the waters of Oahu, with its clock tower, donated by Kamehameha III and installed 1850, remaining active today and displaying the correct local time. The tomb of Lunalilo, elected king after the death of the childless Kamehameha V, is at the church grounds entrance, and other historical figures of Hawaii are buried in the rear cemetery. 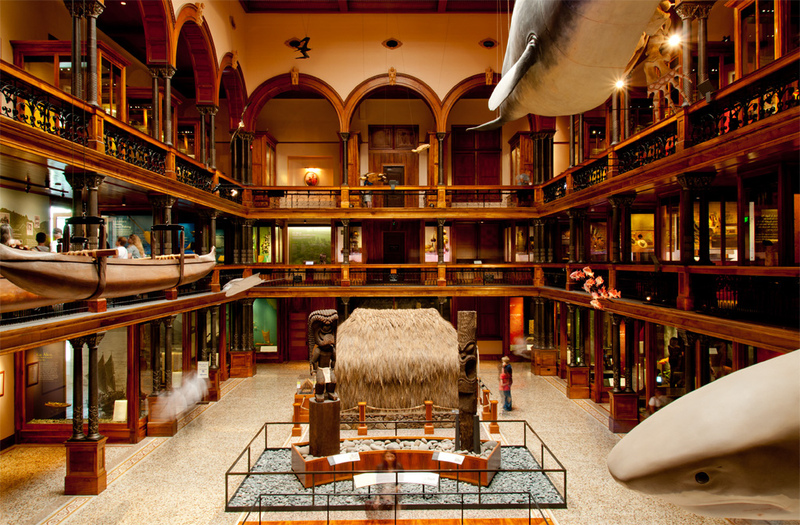 Founded in 1889 in honor of Kamehameha dynasty descendant, Princess Bernice Pauahi Bishop, this museum grew from showcasing Hawaiian native and royal artifacts to becoming an institute dedicated to Polynesian culture in the Pacific. Check out reconstructions of old Hawaiian buildings, antique weapons and garments, even the feathered cloak of Kamehameha I himself. 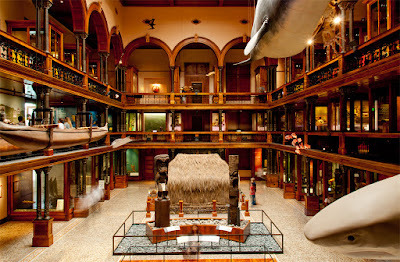 From there you can also see exhibits from Polynesia, Micronesia and Melanesia. There’s even a modern science center and planetarium attached too. Located northwest of the city is an extinct volcanic crater called the Punchbowl, but known to the Hawaiians of old as a cremation ground of people put to death for breaking traditional taboos as sacrifices to the gods. Now this place is the final resting place of soldiers, most having served in the armed forces and were killed in the Pacific theater of World War II. 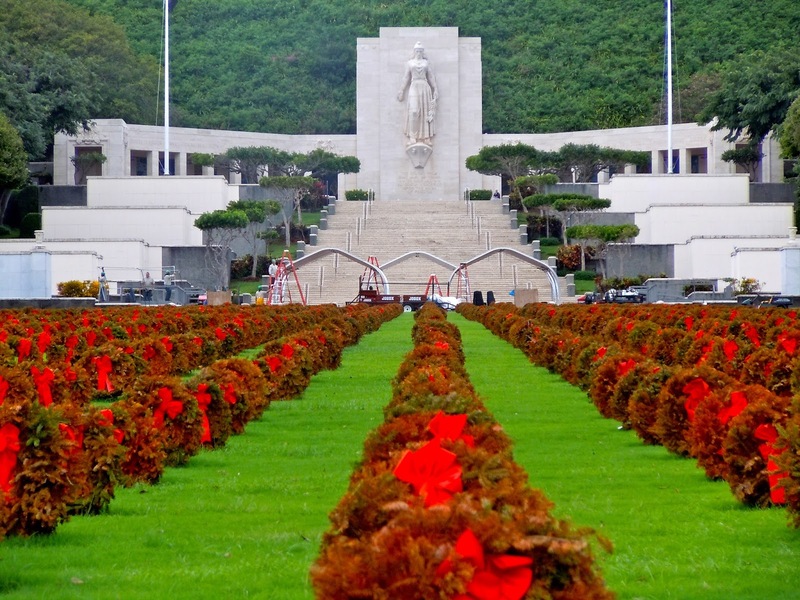 Also included among the almost 50,000 graves are those of singular individuals like WWII news correspondent Ernie Pyle who was killed covering the Okinawa campaign, and Hawaiian astronaut Ellison Onizuka, a fatality of the 1986 Challenger shuttle disaster. 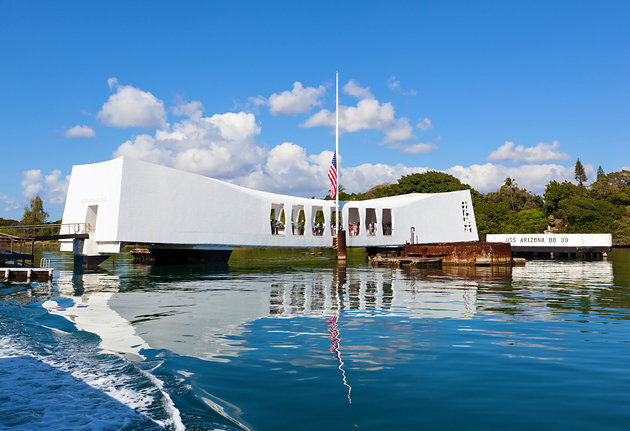 Here history was made in the Day of Infamy – December 7, 1941. 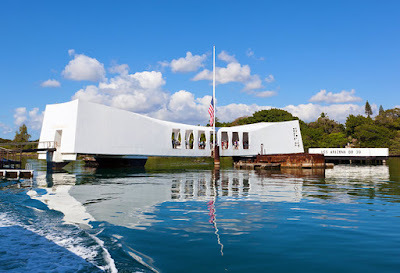 The scars taken from the WWII Japanese attack on Pearl Harbor, the US Pacific Fleet base just west of Honolulu, have mostly been repaired or replaced, but important memorials are still there, at the sites of the wreckages of the battleships Utah and Arizona, sunk by Japanese fighter planes. Also accepting visitors is the submarine USS Bowfin, now serving as a museum ship. Do note that while these locations are open to the public, Pearl itself is still an active military base. Be on your best behavior. It would appear that, despite grumbling from long-time traditional mobile phone owners over the loss of the classic audio headphone jack, the new Apple iPhone 7 and its slightly larger two-camera lens variant the iPhone 7 Plus is coasting comfortably on first-day and first-weekend sales. On second thought, that’s too tame a description: they’re selling better than hotcakes. 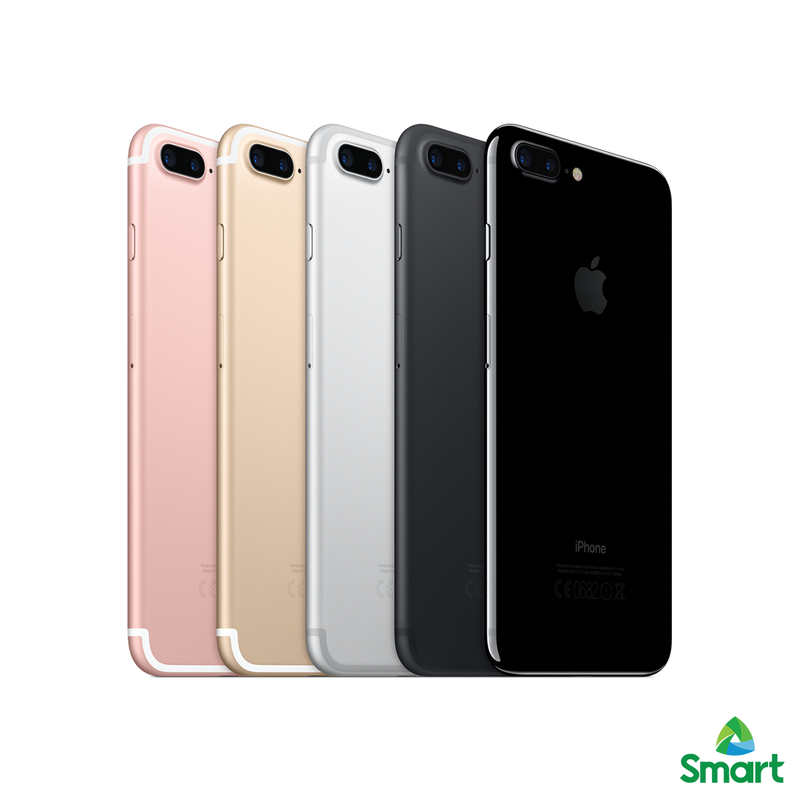 Apple hasn’t publicized any specific numerical figures as of yet, but they have confirmed that the 7 Plus is completely sold out, as well as the jet black color variant of the basic iPhone 7. That’s huge. 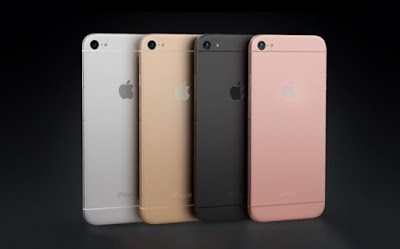 Forbes reports that already, major mobile providers T-Mobile and Sprint have reported dramatic pre-order numbers of iPhone 7s from their service customers; we’re talking almost four times the pre- orders of the previous generation iPhone 6 way back in 2014. To put it into perspective, when you put together all US subscribers of Sprint and T-Mobile they make up 30% of the total mobile market share. Granted, orders do not translated to actual sales at least until the pre-ordered iPhone 7 is in the customer’s hand, but it’s still highly encouraging especially to Apple’s many investors. Furthermore, another thing Apple’s got going for it in the early days of the iPhone 7 on the market, is the slew of reports from analysts like RBC and Morgan Stanley that have done wonders for the company stock, up 8% this week. Take for example Morgan Stanley’s dedicated Apple analyst Katy Huberty, who predicts that only 25% of Apple’s roughly 600 million strong user base needs to switch to an iPhone 7 for them to beat her estimates in consensus with other analysts. She chalks this up to the extremely aggressive marketing being put out by American mobile service carriers for the iPhone 7, and the anticlimactically low level of backlash at having no more audio jack. September 15 that their initial batches of units set aside for pre-ordering are just wiped out. 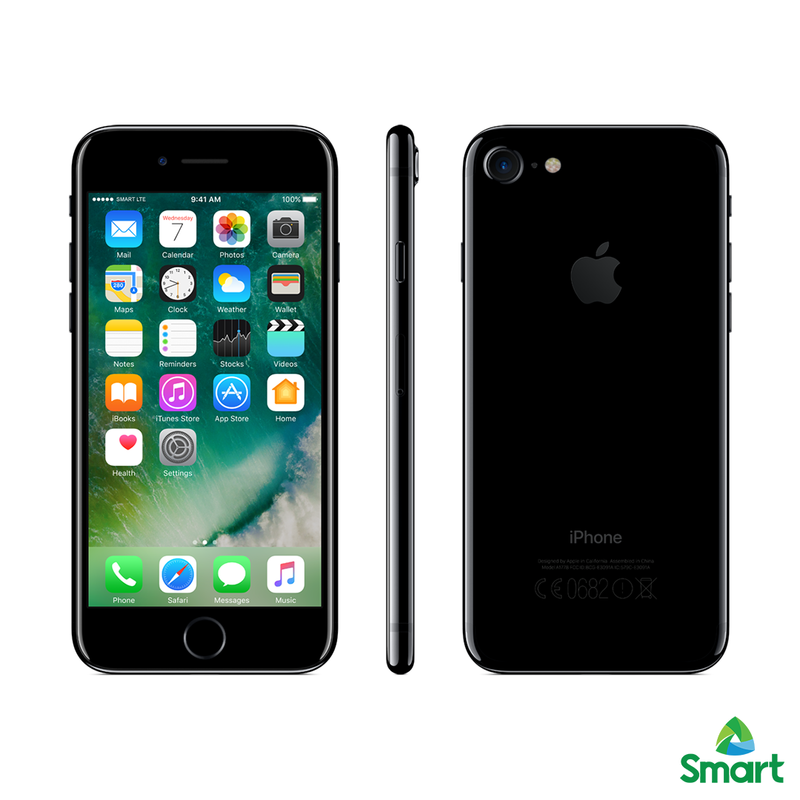 Walk-in customers at Apple stores on the official release Friday September 16 are out of luck with the jet black 7 and all units of the 7 Plus. They’ll have to make do with the choice of a basic iPhone 7 in (ordinary) black, (ordinary) gold, rose gold, and silver, with the added caveat that even these variants are now in “limited quantities”. Online ordering is still on however wannabe iPhone 7 owners are in for the long haul in waiting. Thanks to the iPhone 7 and Plus, Apple has surged ahead of mobile OS rival Alphabet (of Google and Android) by $60 billion to end at being worth over $600 billion. Truly, Samsung’s loss is Apple’s gain. Smack dab in the middle of the Pacific, halfway between Asia and North America, is an archipelago of islands that have seen much and experienced more. Born in prehistoric times by volcanic fire and seismic upheaval, these landmasses rose out of the ocean depths and with the passing of time became a true Paradise of the Pacific, home to a native population that grew to become a kingdom, but ultimately annexed by and became the fiftieth of the United States. This is Hawaii, the Aloha State. Then again, when you ask the Hawaiians of native descent, especially the storytellers, and they’ll tell you tales of wonder from their mythology, usually revolving around the great demigod Maui, from whom one of the main islands gets its name. Maui, as the stories go, was the one who created the islands by pulling them up from the ocean bottom with his magic fish hook, the one who lassoed the once fast-moving sun to force him to move at the pace we now know, and the one who with his father the god Akalana pushed up the sky high enough so that people won’t have to stoop down at some parts, among many other deeds. 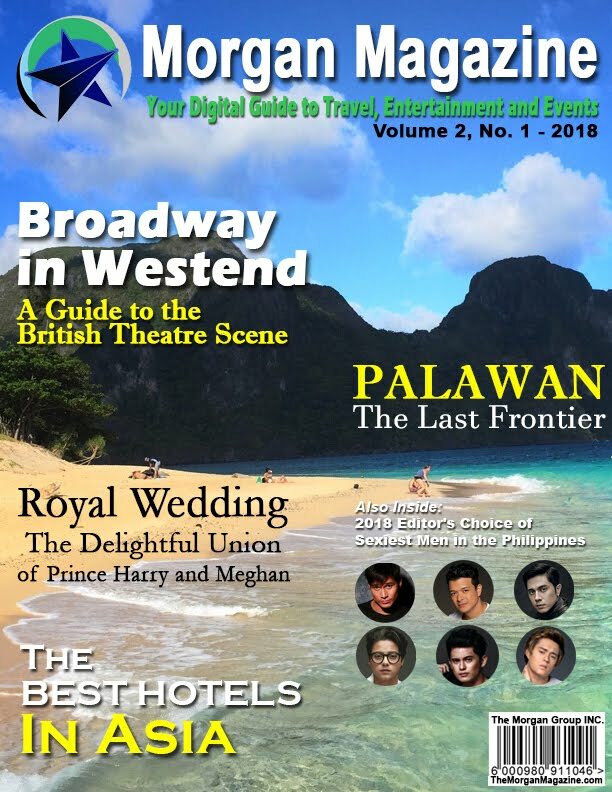 One thing you’ll pick up from these fanciful tales is that Hawaii, or as a local Hawaiian spells it, Hawai’i (to explain the pronunciation “Ha-WAI- I”), is a truly magical place. Seven of its eight main islands are abound with stunning natural sceneries, well maintained by the warm tropical climate. It’s no wonder at all why the islands were inhabited by Polynesians migrating there during ancient times, living in distinct tribes contact with European explorers, which intensified the conflicts between chieftains and tribes until they were conquered and unified by the founder of the Kingdom of Hawaii: Kamehameha I (and yes, Japanese creator Akira Toriyama used the name for the trademark super move used by his characters in the manga/anime “Dragon Ball”). Using European knowledge and technology, King Kamehameha established Hawaii as a nation among the rest of the world and built a ruling dynasty. Following the death of Kamehameha V without issue were two elected kings, Lunalilo and Kalakua, and Kalakua’s sister Liliuokalani, who would be the last monarch of the Hawaiian kingdom when it was turned into a republic by American business interests, who had the US annex it as a territory. As a territory it would be the place that would trigger America’s entrance into World War II, with the attack on Pearl Harbor at Oahu Island. Ultimately it would become the 50 th State in 1959, and more history would follow. Hawaii’s central position in the Pacific has made it a meeting place and melting pot of sorts for many different cultures. There are plenty of Japanese Americans and Filipino Americans to be found around the islands, and their cultures have also contributed to the colorful collage of Hawaiian society. Nothing more needs to be said about Hawaii being a premier international tourist destination, thanks to its magnificent beaches, explosive volcanoes and delicious food from roast pig to pineapples (not a native Hawaiian fruit as they are quick to point out). The individual islands of Hawaii offer specific sights and thrills to all visitors. Save perhaps for small and uninhabited Kaho'olawe, all the others are overflowing with wonders. Take the easternmost island, called Hawaii but better known as the Big Island, home to two active volcanoes, one of them the most active in the whole world, offering natural pyrotechnic displays with every frequent eruption. 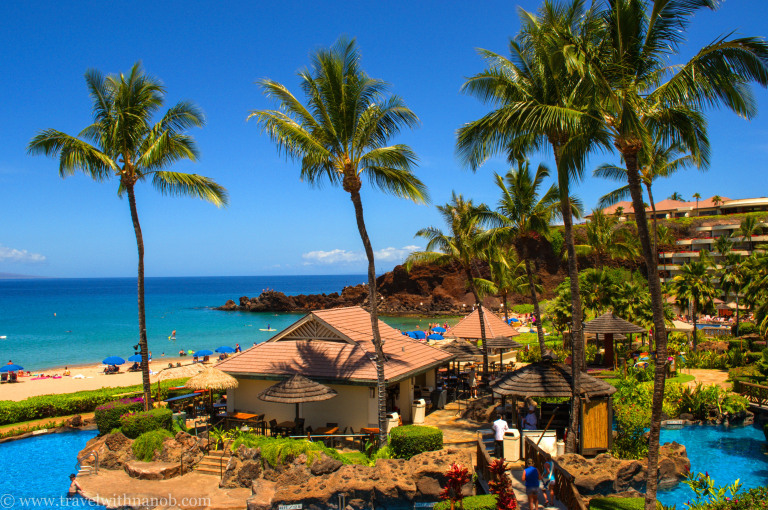 Moving to the west we have Maui, the Valley Island, with its sweet onion farms and sugar plantation nestled among green mountains. Then we come upon the Pineapple Island of Lanai, where the “not native Hawaiian fruits” are grown in large numbers by the Dole Food Company, and the Friendly Isle of Molokai where cattle ranches, friendly residents and former leper colony can be found. Further west still is Oahu, location of the state capital Honolulu and Hawaii’s cosmopolitan center, site of Pearl Harbor and Waikiki Beach. Next is the Garden Island of Kauai, which looks exactly as described, so that it was used as a location set for TV shows and films, even in animated form as seen in Disney’s “Lilo and Stitch”. Last we come to Niihau, second only to Kaho’olawe in small size, privately owned by a family that once operated a sheep ranch there. Travel is quite limited, to protect the local population of native Hawaiians. When it comes to being a confluence of Western, Eastern and Pacific cultures unlike any to be seen anywhere else in the world, Hawaii makes sure it comes second to none. Beyond images of hula skirts, Hawaiian shirts, luaus and ukuleles, Hawaii has a great deal more to show you. Have a look. It’s just about a month and a half away from the 2016 US Presidential Elections, and all candidates – and campaign supporters – involved are starting to throw their heaviest ammunition against one another. Every single shown or perceived weakness of the opposition is slammed and exploited while putting their own side on the highest pedestals. After Democratic bet Hillary Clinton was revealed to have been sick with pneumonia and kept it secret, adherents of her GOP counterpart Donald Trump decided to unleash an ad campaign to mock Clinton’s frailty and present their candidate as a veritable superhuman fit to be President. The result, as reported by The New York Post, is a digital ad shown on a 55-foot tall billboard screen in Times Square called “Super Trump”. Exactly as it says, the advertisement is a loop of Donald Trump, or rather his head, imposed on a Superman-esque costumed body with a T in place of the S, flying through the clouds towards the viewer with the American flag in the background and his campaign slogan of “Make America Great Again”. The ad, positioned between 46 th and 47 th Streets on Broadway is expected to run from Tuesday September 13 to Saturday September 16. This temporary monument to the Trump personality cult of sorts was the brainchild of the Committee to Restore America PAC headed by Trump adviser Roger Stone. In line with his flamboyant personality, the “self-proclaimed” GOP hit-man and rabble-rouser has taken the term “deplorable”, espoused by Clinton in a recent speech to describe the extremist support base of “racists, sexists, xenophobes, and homophobes”, and turned it into the ultimate compliment for all professed members of the “alt-right” who share views with Trump. Columnist Dana Milbank of the Washington Post had commented that Clinton’s remark was spot on. Reactions of the Times Square pedestrian on the Super Trump ad, according to interviews by BBC, range from amused humor, despair at how the elections have been reduced to mockery, and taking the imagery as ironic satire. Some Britons who have seen the billboard have remarked on the appropriateness of the ad to Trumps personality putting him at an advantage, especially in light of Clinton’s health issues; others can only hope that American’s wouldn’t take the idea of a superhero Trump at face value. After its Times Square run, the digital ad is said to be moved next week to light up the I-4 Corridor in Florida. CHINESE POLICE End Democracy in "PROTEST VILLAGE"
KPOP’S BIG BANG:Bye for Now, or Forever?